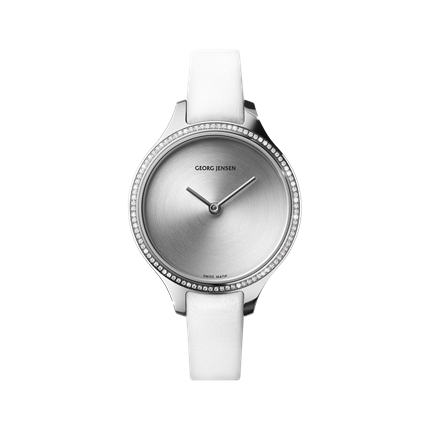 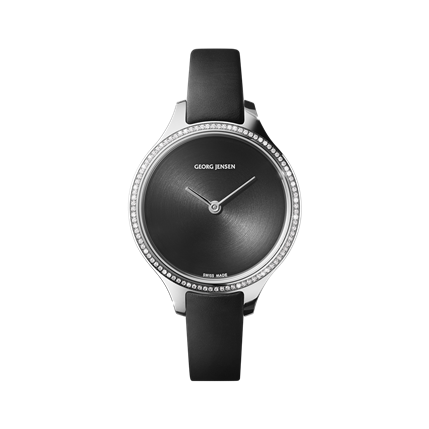 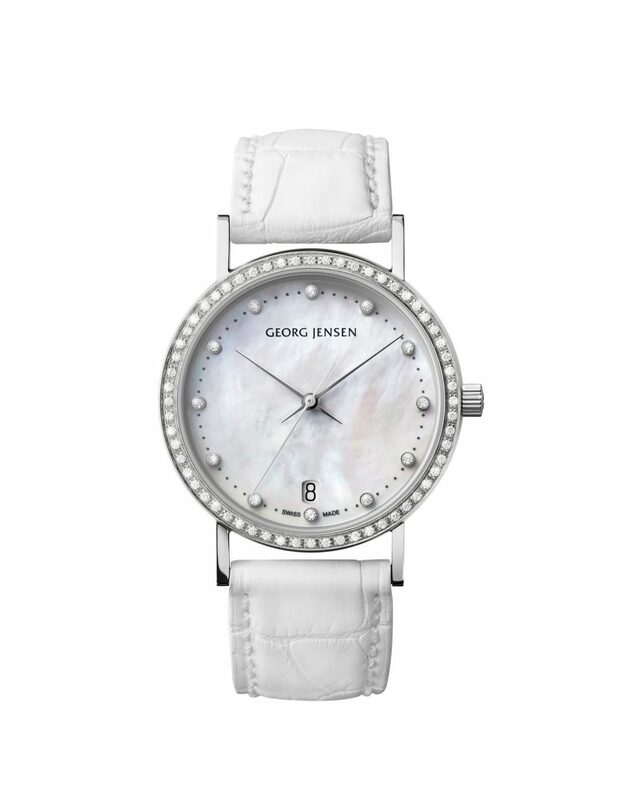 A Georg Jensen Concave watch set with a double curve Sapphire crystal and a bezel inset with beautiful brilliant cut diamonds. 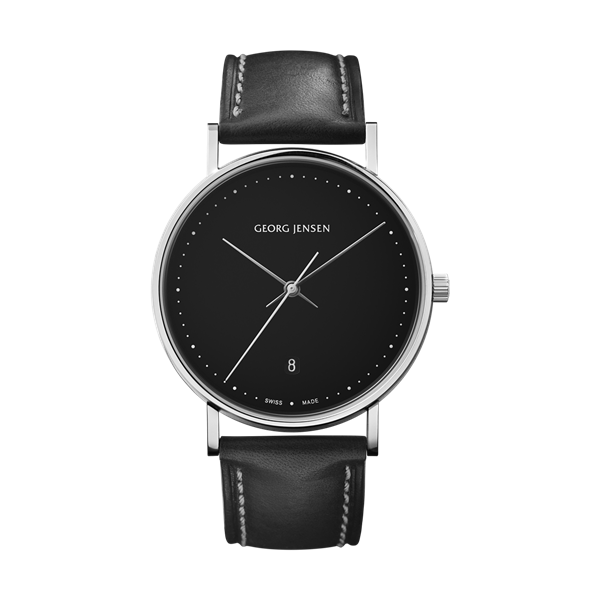 Brought together on a smooth and supple black calf leather strap. 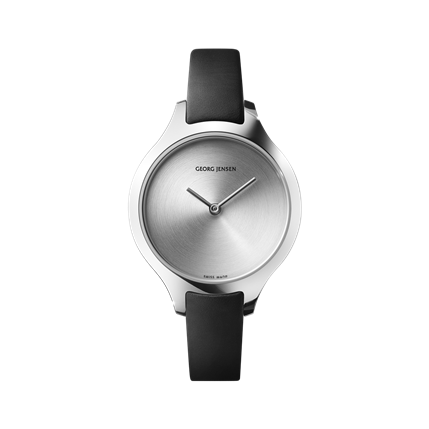 With its brushed steel sunray dial this Concave watch delivers a new aspect of silversmithing to horology – a meticulously sculptural piece brought to life through exquisite craftsmanship.